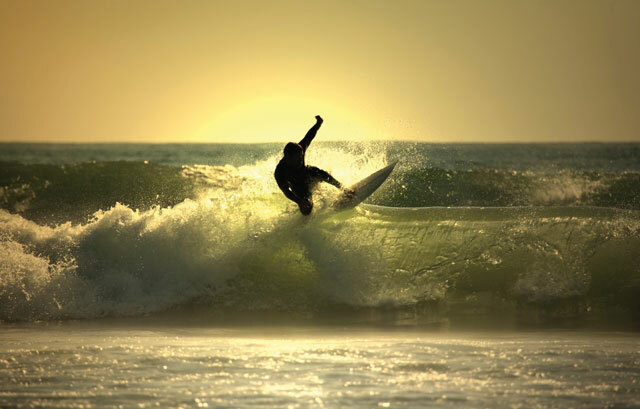 Cayucos is considered by many to be among the last of the California vintage surf towns. 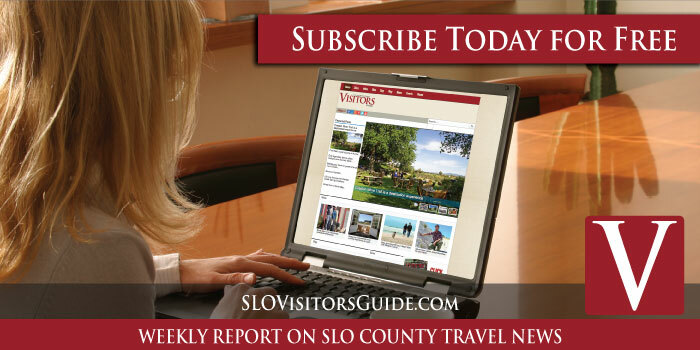 Its small-town mentality, popular events and proximity to vast stretches of scenic coastline continue to make this a favorite Central Coast destination for residents and visitors alike. Cayucos is located directly off scenic Highway 1 between Morro Bay and Cambria, and world-famous Hearst Castle lies less than an hour north. 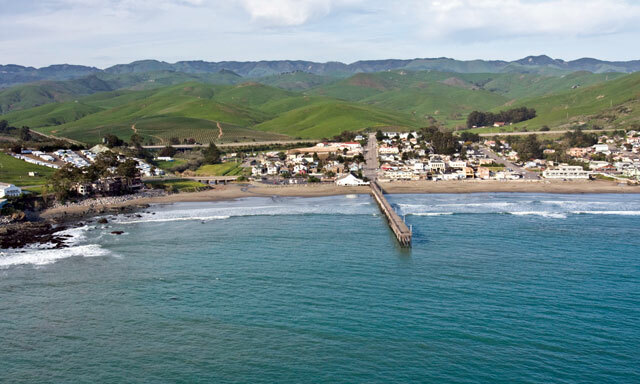 Because of its mild seasons, Cayucos is popular for both summer and winter vacationers. Shopping, strolling, surfing and more. Itís also a popular place for skin diving, swimming, surfing and stand up paddleboarding. Sea glass collectors and beach walkers enjoy miles of shoreline while dogs race in and out of the surf. The Cayucos Dog Beach, located just south of Cayucos along Studio Drive, is one of the only off-leash dog beaches in the county. With Morro Rock in clear view and merely 5 miles to the south, this stretch†of beach is vast and the views are incredible. Itís not uncommon to spy dolphins playing in the surf along with sea otters and sea lions. An aerial view of the Cayucos Pier. Along with the annual 4th of July festivities, which bring thousands into this coastal jewel with the sights and sounds of parades, live music and fireworks. The Cayucos Sea Glass festival is hosted each March. 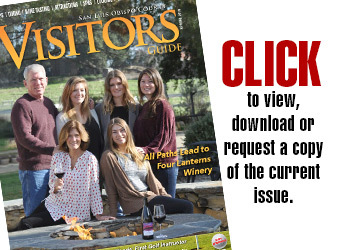 As one of the premier events on the Central Coast, visitors come from all over the country to enjoy a weekend of local artisan goods, fun in the sun, live music, and of course an extensive marketplace of the finest sea glass art. Downtown Ocean Ave. becomes a pedestrian zone while browsers and shoppers can checkout the many goods being offered by local and visiting vendors in October during the townís Antique Street Fair. Each New Yearís Day, Cayucos again comes to life with its annual ìPolar Dipî swim where thousands†head together into the brisk water. Invigorating to say the least, itís another one of many annual traditions that keeps this such a close-knit community.